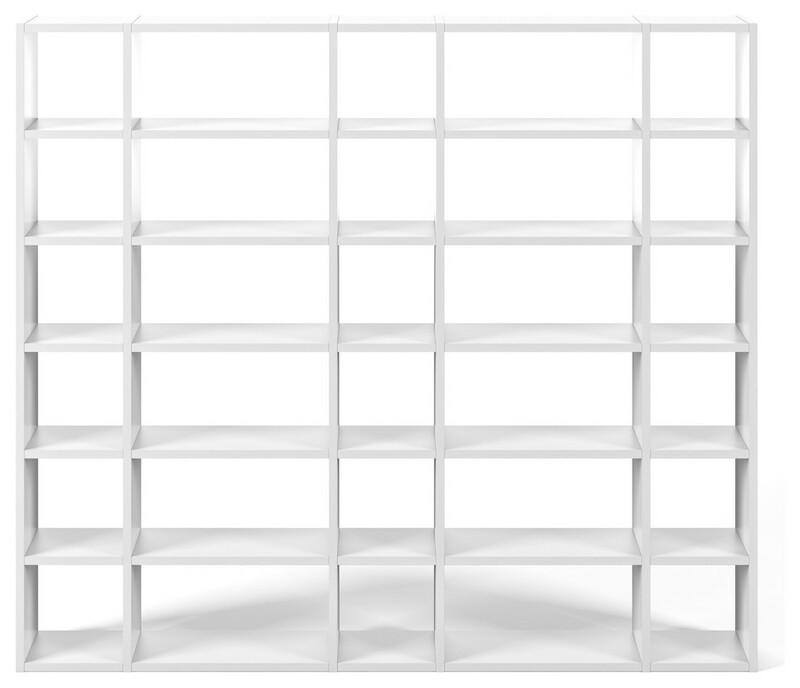 Timeless, geometric and balanced, Pombal is a modular shelving system available in a variety of different finishes and heights. Pombal is already a classic in TemaHome's collection, having passed the 20 years of existence mark. This extremely modular product line gives you the flexibility to build a shelving system that will fit your space. Available online in fixed combinations, contact us if you want to build your own custom unit. W 13" / D 100" / H 88" / 260 lb.